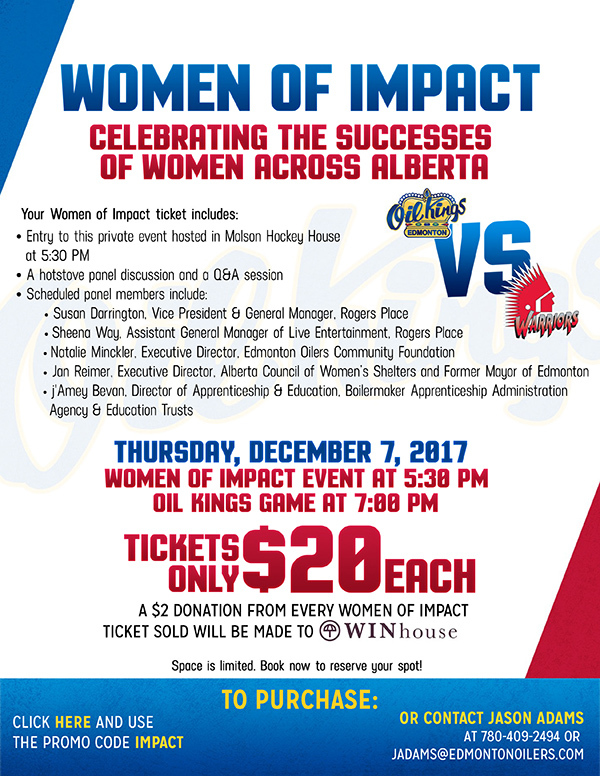 Join the Edmonton Oil Kings as they celebrate the successes of women in our community. Enjoy a stimulating hotstove panel discussion and Q&A session led by some of Edmonton’s most prominent women. This event has limited space so register early!